The initial goal in Reigns: Game of Thrones is to unlock the nine playable characters / rulers (kings and queens). It’s more fun to unlock them all on your own just by playing normally. They’re also not too difficult to unlock if you just have some patience. I recommend focusing on other aspects of the game like meeting objectives, collecting all the deaths, and seeing all the cards. But if you’re still having trouble finding any of them, this guide will help you. See my other Reigns guides. See my Reigns: GoT review. Play as Daenerys and Jon will eventually come and talk to you. After you die, Jon Snow will be unlocked as a ruler. Easy! Sansa will appear while you’re playing as any other character. Accept her request to buy Wildfire and then the Grand Maester will say that Sansa blew up the Twins. You’ll get an achievement and unlock new cards. Then, after you die, Sansa will unlock as a ruler. Play as Tyrion. You need to have unlocked the pirate for this to work. Lord Varys should show up at some point and tell you that they tracked down Cersei at Casterly Rock. Ask what her plans are and then say “Come closer” so you can whisper to Lord Varys what to do. He then returns later and brings you the man you need to dislodge your sister from Casterly Rock. Say, “Excellent!” The pirate appears. Accept his price. A short time later, you should hear from Lord Varys that they captured Cersei. Start her trial and no matter your choices, she should unlock on your next death. Play as Tyrion. At some point, your Grand Maester will tell you that one of Cersei’s men has been assassinated. He’s actually one of several. Investigate the deaths until you face the four suspects. Select the Septon (there’s no Beggar among the Seven) and Arya will reveal herself. On your next death, she’ll be unlocked as a ruler! Play with Arya until you meet the blacksmith. Let him forge you a celestial sword. At some point he should return and say they have too much iron in store. Tell him to make swords and the Master of Coin will call him a boor. Say, “On the contrary” and tell the blacksmith, “I know who you are.” Then say, “You can’t fool me” and “Hot Pie sends his regards.” Then Arya will reveal herself to him and he’ll reveal himself as Gendry. On your next death, you’ll unlock him as a ruler. Play with Cersei until Tyrion comes to convince you to fight the White Walkers. Jaime will also ask you for help. They want you to let them mine at Dragonstone. You then have to choose between four options. Choose Jaime to retain his loyalty. On your next death, he’ll be unlocked as a playable character. 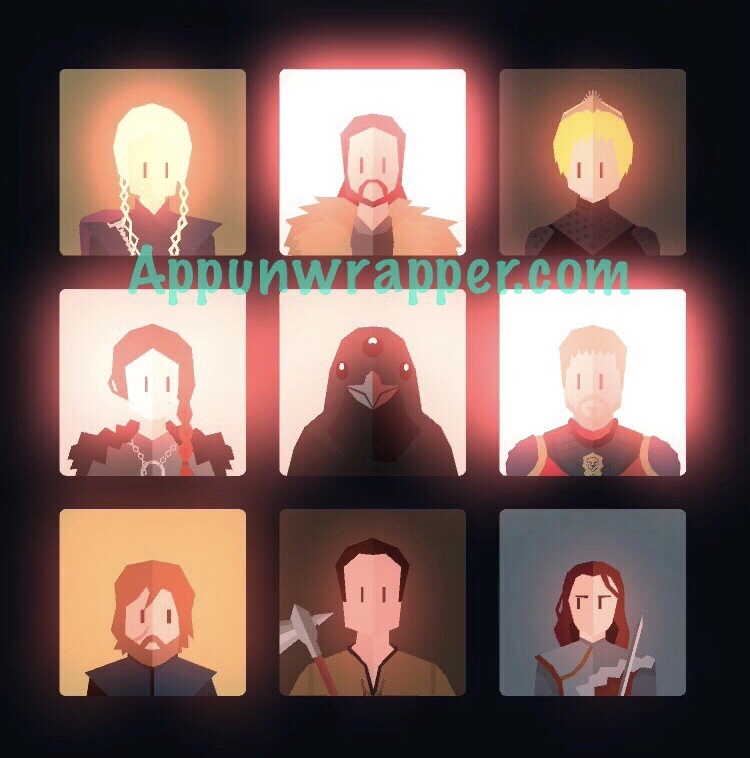 Once you’ve unlocked all eight rulers and and played with each of them at least once, go back through Melisandre’s fire where you choose a character to play with. You’ll now unlock the ninth character, the three-eyed raven (Bran Stark). Pay close attention to the location of the Three-Eyed Raven among all the other ravens during the short interlude. You’ll need it later. Then you’ll be ready for the next part of the game. You have to now survive the the winter with each of the eight rulers. See my guide for that here. See my other Reigns guides here. Nah, to unlock gendry, Arya has to say “hot pie sends his regards”. Otherwise gendry will remain in disguise and leave. Ok, thanks! That’s what I said but I wasn’t sure if it made a difference.